Going back to where it all began, Kartell marks the 50th anniversary of their iconic Componibili collection with an exhibition in Milan. 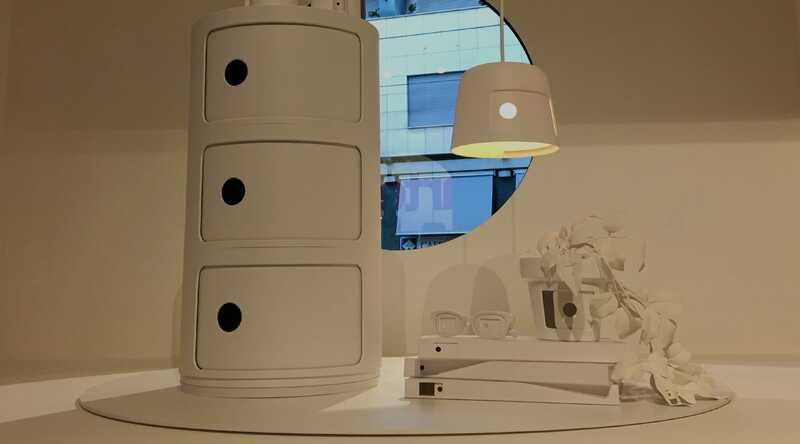 This modular storage system continues to fascinate, landing right at home among innovative modern designs. 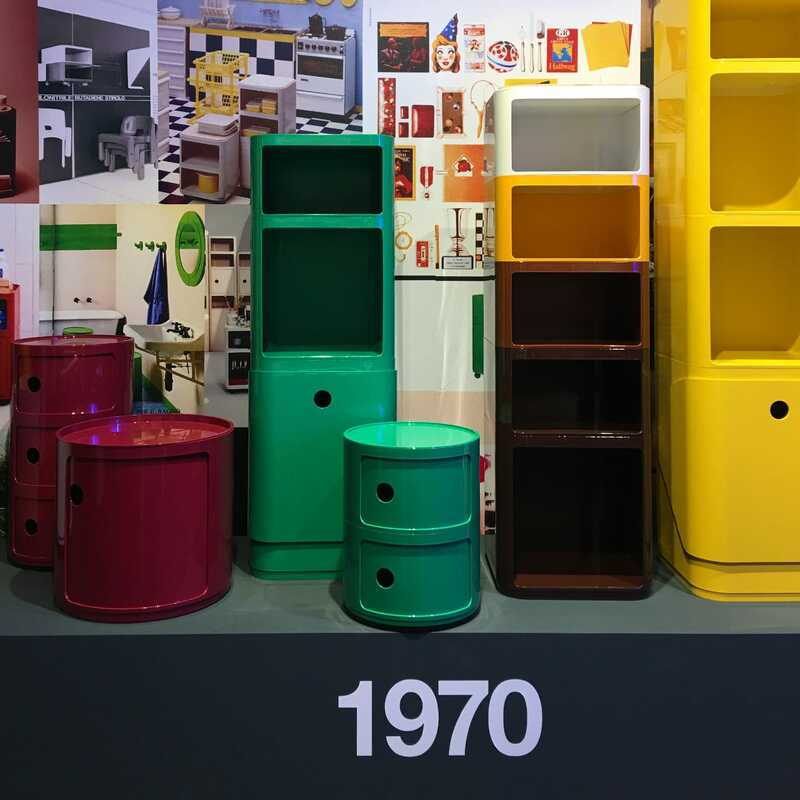 Time flies when you are as beloved a design as the Componibili storage collection from Kartell. 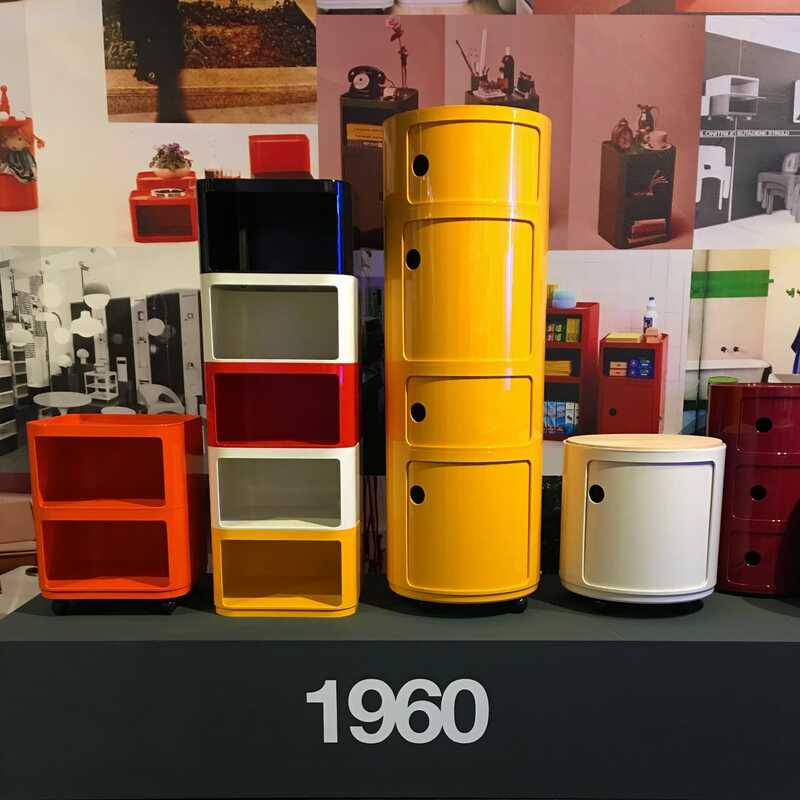 Designed by Anna Castelli Ferrieri, the wife of Kartell’s founder Giulio Castelli, it’s hard to believe 50 years have passed since Componibili’s successful debut at Salone del Mobile in Milan. But when the philosophy of the design—modularity, material innovation and intuitive function—are taken into consideration, it’s not so hard to believe the design has captivated the design world for this long. 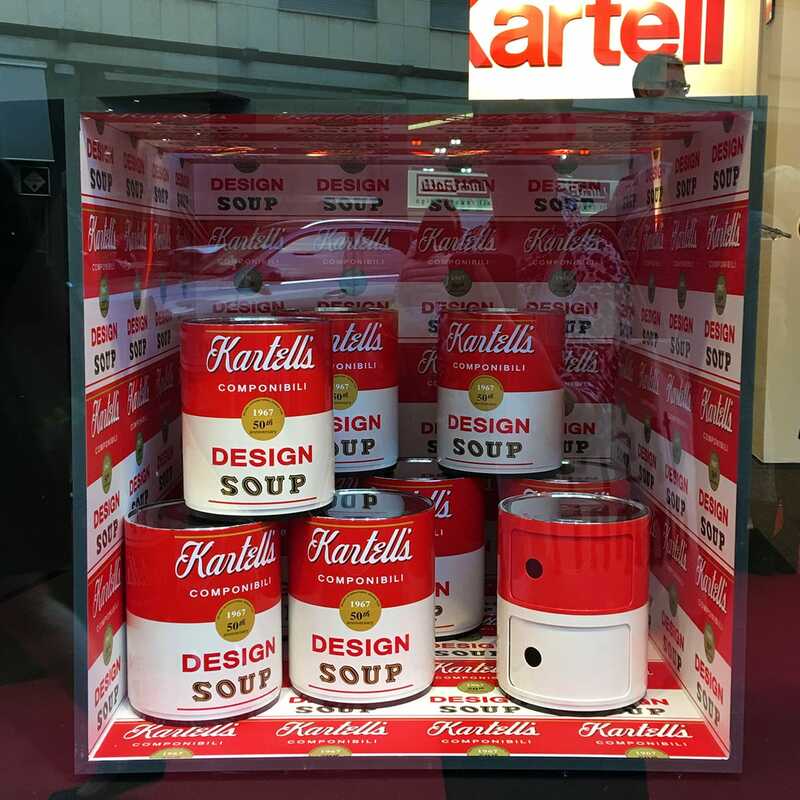 Kartell has pulled out all the stops to celebrate Componibili’s 50th Anniversary. First, where it all began, in Milan with a special exhibition showcasing personal tributes to the 50 years’ young collection by several giants of the design industry. 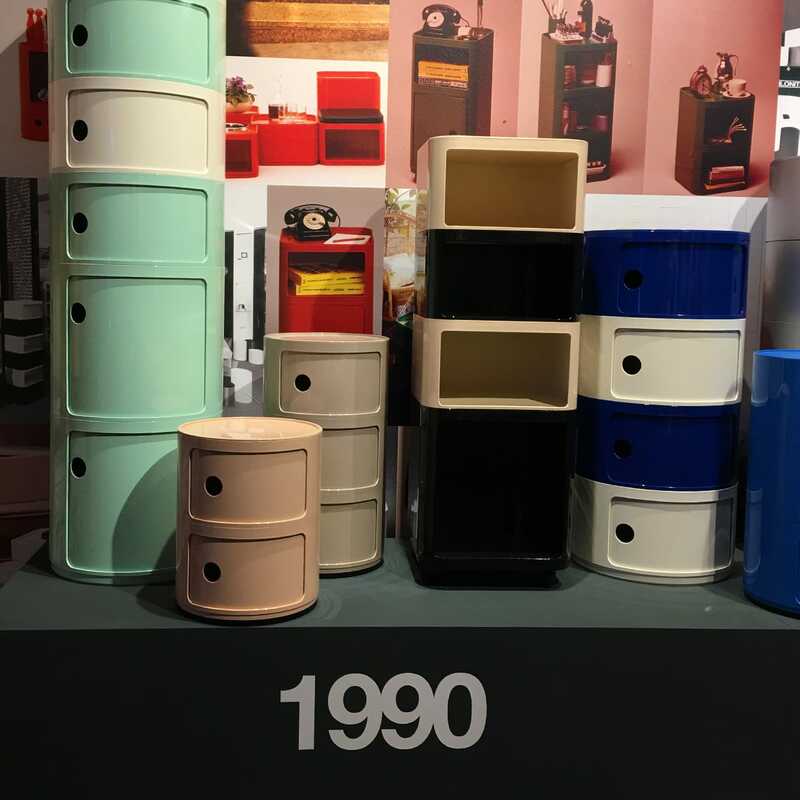 We spoke with a representative at Kartell to find out how they will be celebrating this milestone, and to delve deeper into why Componibili remains so popular today. 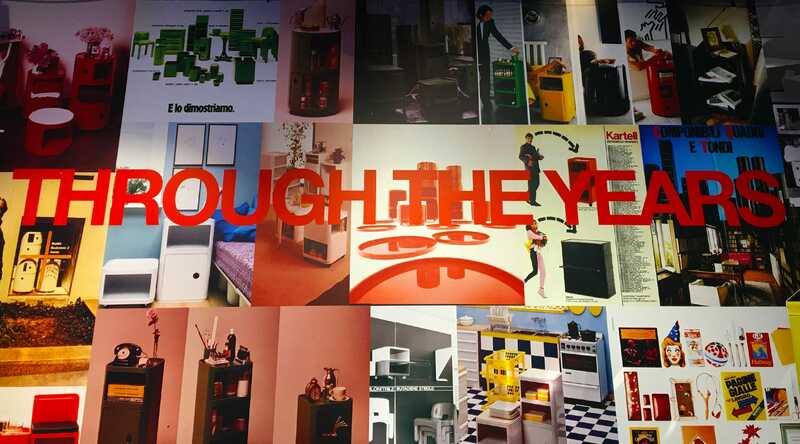 How did Kartell celebrate Componibili’s 50th anniversary? 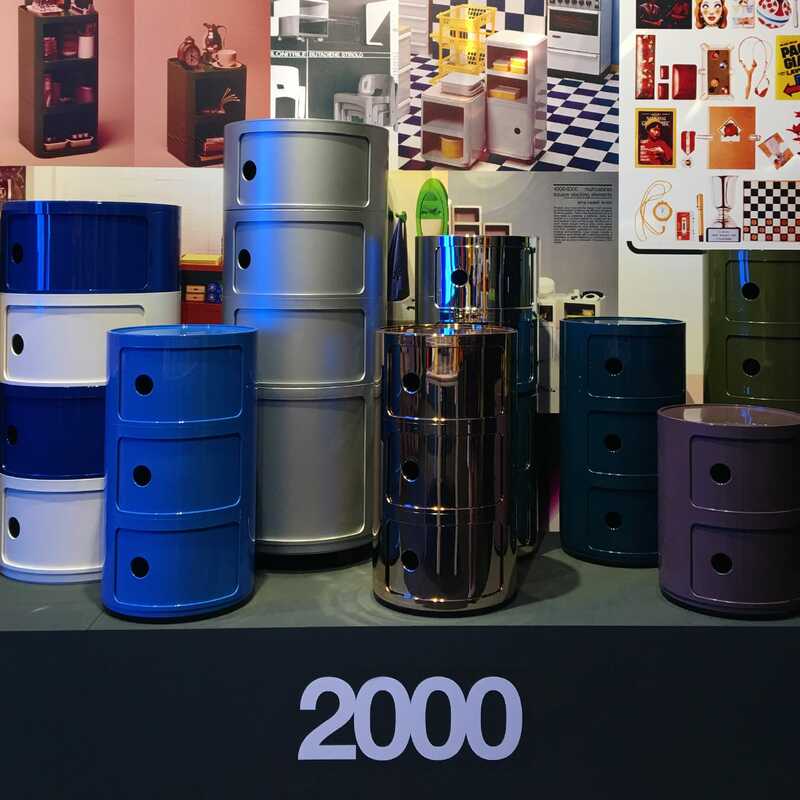 The anniversary of the Componibili is something very important to us, with a deep meaning, not only because it has to deal with the origin and roots of Kartell but also because it represented a turning point in the history of design. With “Tribute to Componibili 50th Anniversary,” we have chosen to tell this story from an emotional viewpoint, to enlighten the evolution of the product and the way in which it was able to meet new tastes in contemporary living trends. For this important anniversary, the Componibili have become unique artworks. They are the heart of a special exhibition that we are now going to present in New York in May on the occasion of ICFF. After the launch of the project in Milan during last Salone del Mobile, this will be the first stage of a tour that will bring the exhibition to many different parts of the world. The exhibition concept includes 15 signature pieces, personal interpretations signed by Ron Arad, Mario Bellini, Antonio Citterio, Ferruccio Laviani, Piero Lissoni, Alberto Meda, Alessandro Mendini, Nendo, Fabio Novembre, Philippe Starck, Patricia Urquiola, Tokujin Yoshioka and fashion brands Emilio Pucci and Missoni, along with a Disney special edition. To complete the tribute, we also collected special dedications by the curators and authors who have accepted Kartell’s invitation to underpin the recollection and value of this object. At the time of its launch in 1967, Componibili was (and still is) regarded as an innovative design solution. What was the inspiration behind the design, and what makes it a unique solution for modern living? The Componibili collection has revolutionized the design world with a unique approach to product engineering. 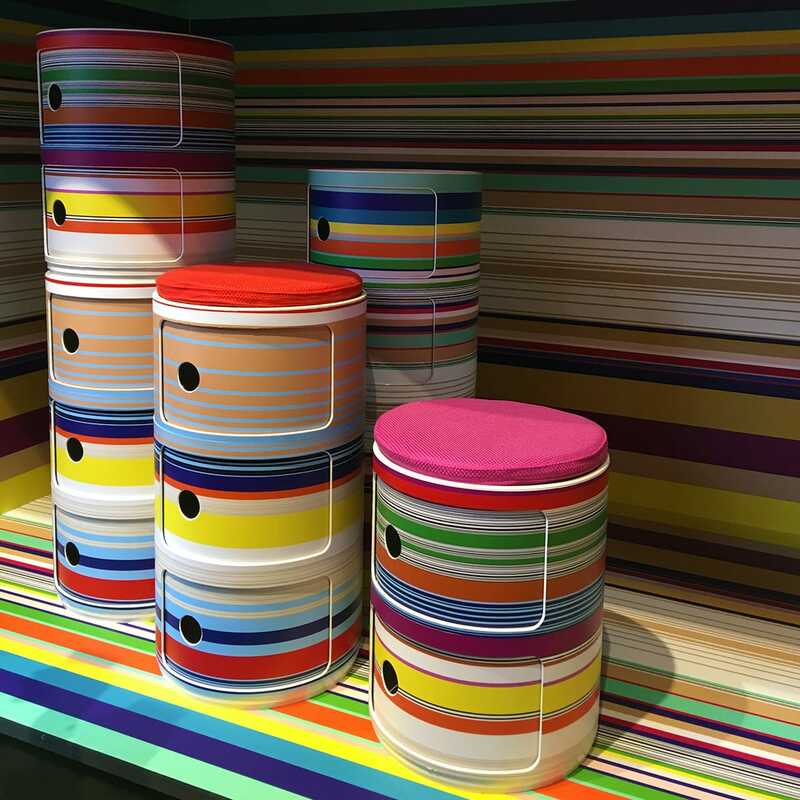 Componibili suits all possible contexts: individual elements can be fitted with castors and doors, and topped with a lid which also doubles as a tray. Many additional elements can be added to the original one. By simply stacking one or more elements on top of each other, they interlock securely with no need for screws or glue. A versatile and flexible vocation enabling them to be a strong feature in any bedroom, bathroom, living room or office. By championing the use of plastic materials in its production, how did Componibili influence successive collections manufactured with the same type of material innovation? The Componibili elements represented a new furnishing concept; they were actually the first interlocking modular accessories made from ABS, a new material for the time which stood out for its avant-garde mechanical and aesthetic properties. For many years now, we have been addressing this technological challenge, seeking new solutions and new materials that are able to respond to increasingly sophisticated requirements. In 2014, we celebrated 15 years of transparent design to recall the huge technological, aesthetic and cultural challenge launched by Kartell in 1999 with Philippe Starck, which led to our production of La Marie, the world’s first polycarbonate chair, now crowned by the latest achievement, that of the Piuma chair which, thanks to a refined injection moulding technique, has a minimum thickness of just a few millimeters. 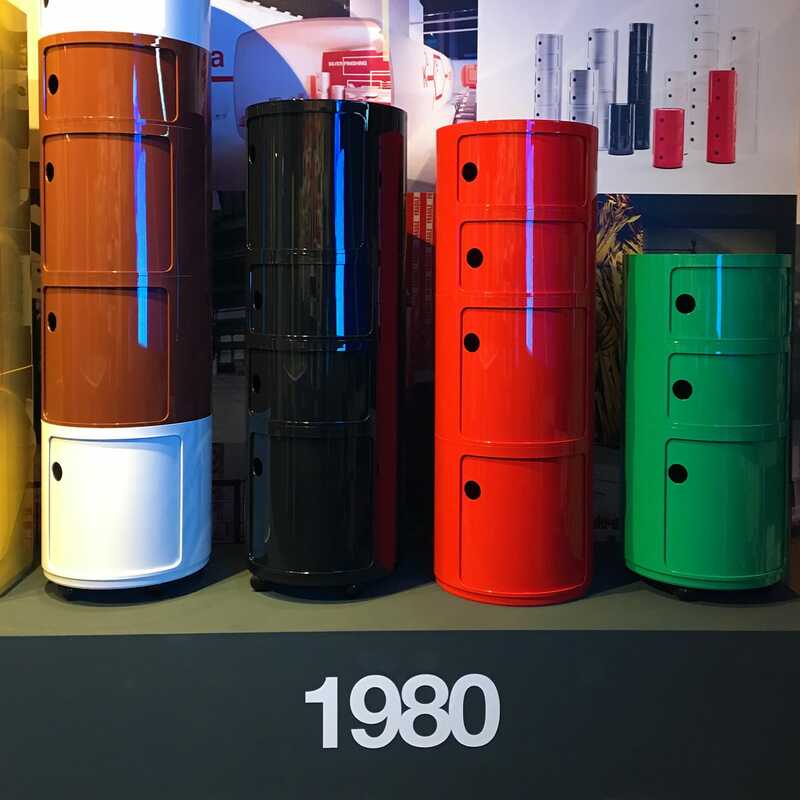 Kartell was the first company in the world to use this material for furnishing applications, also because of its beauty, fully aware that polycarbonate could become the material of the future. It is as transparent as glass, unbreakable, non-toxic, resistant to impact and many other adverse conditions. Has the Componibili collection evolved aesthetically over the past 50 years? By definition, the Componibili are flexible and transformable and this same capacity to change with the times has enabled them to become a classic. To commemorate the 50th anniversary, we also introduced new color variants in bordeaux, olive green and petroleum blue. A new version with four elements has also been presented, to complete the two and three-element variants. So, Componibili has reinvented itself in a different skin, to be newly launched as a brand icon and a great commercial success for the company. Why do you think this product has remained popular over such a long period of time? 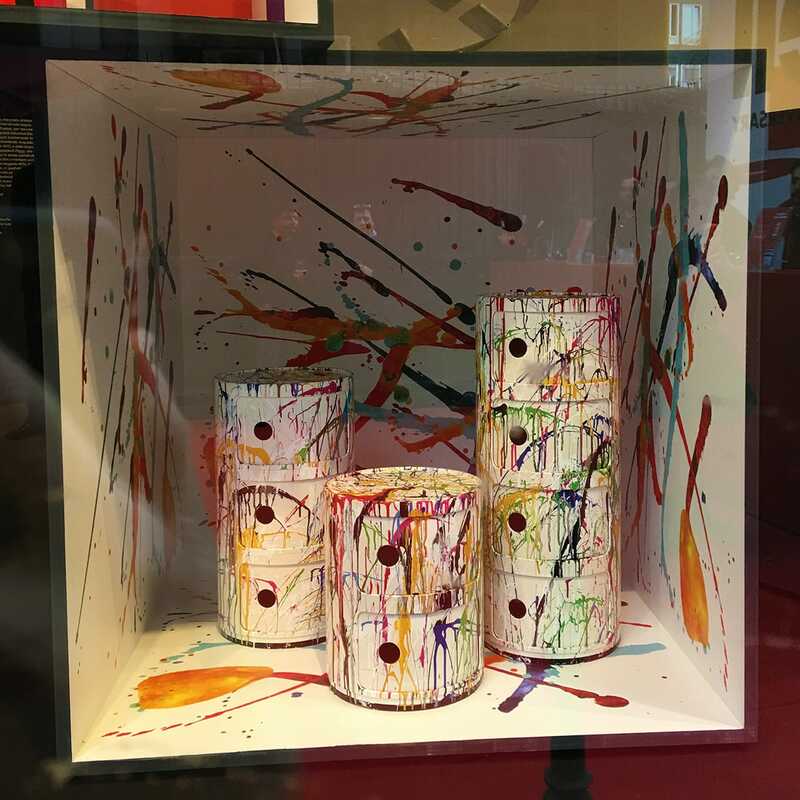 The Componibili are some of the most quintessentially iconic objects and Kartell long-time bestsellers. They continue to represent a contemporary and up-to-the-minute symbol of the creativity pertaining to a period of the past in which new aesthetic codes and lifestyles were catching on. The Componibili are timeless because they carry a desire for innovation and change, typical of those objects that have left a mark in history and, for this reason, will never go out of fashion.